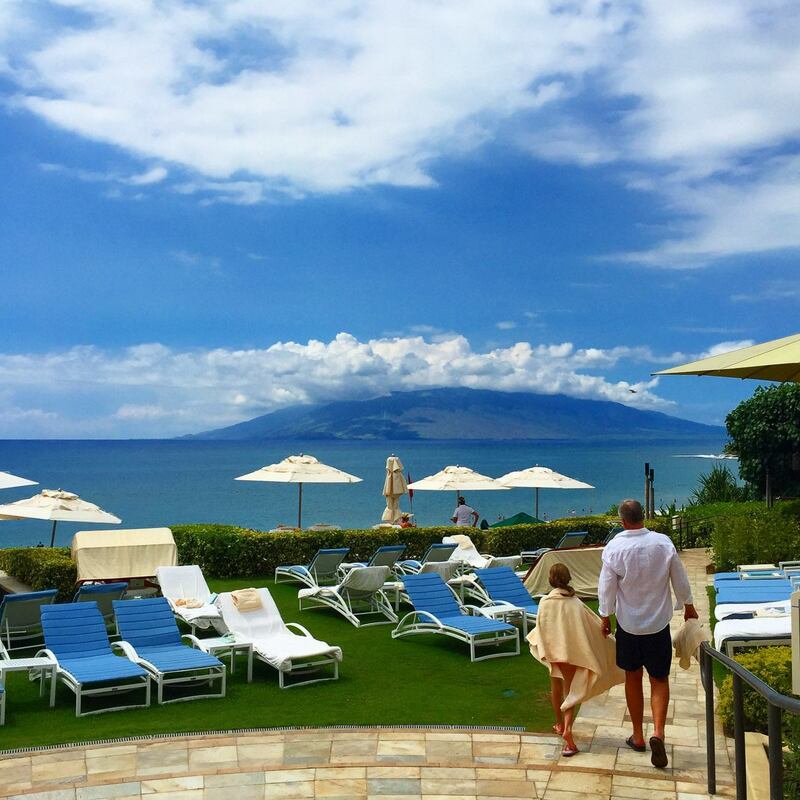 Families flock to Maui for much-needed respite. 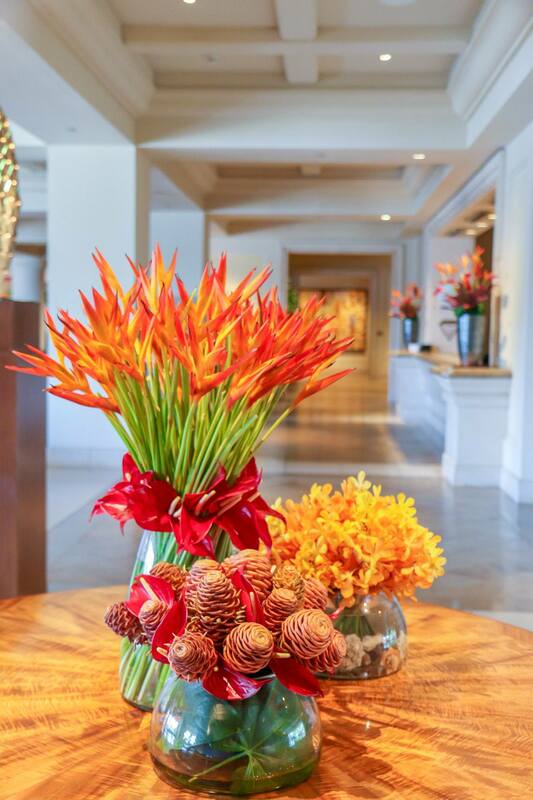 But those also craving impeccable service, understated elegance, delicious dining and seemingly-countless kid-friendly amenities in an exclusive environment turn to Four Seasons Resort Maui at Wailea. Only here could we feel so at ease given the uncertainty of how Hurricane Ignacio might impact our end-of-summer stay. We could not have cared less about a cancelled flight or being resort-bound due to extreme weather (which thankfully never materialized) because we were happy hanging out as a family in our luxe digs. In the event of emergency, I knew we’d be taken care of. 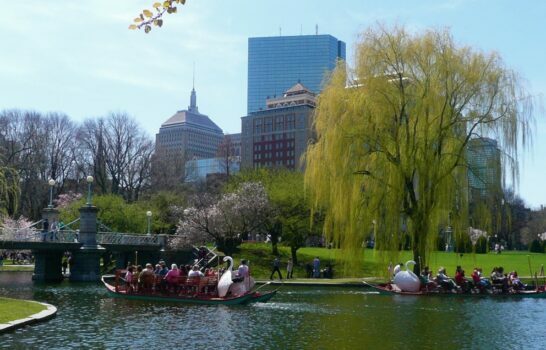 This confidence and comfort has us repeatedly returning to Four Seasons. Plus, this is the kind of resort where you want for nothing. 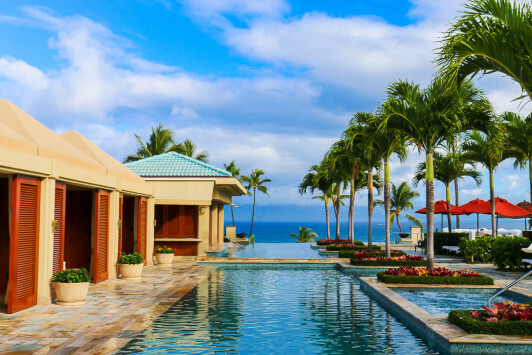 Four Seasons Resort Maui at Wailea is one of the resorts I can book for you with agent-exclusive amenities that will enhance and add value to your stay. Please send me your dates and I’ll tell you what’s on offer. 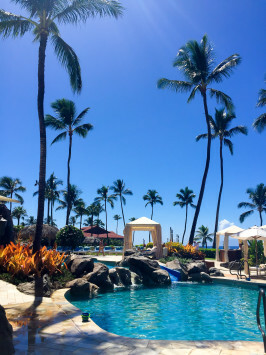 We rented a car at Kahului airport (OGG) and drove the 20 minutes or so to the resort. I mention that the road to Wailea is more-or-less straight because my sensitive daughter got a bit carsick last time we stayed on the other side of the island. The exclusive Wailea enclave in Maui right up my alley because it’s quieter than other popular spots and leans a bit more upscale. Sure, there are still tourists as a number of hotels are located here but I didn’t find myself overwhelmed. We drove into nearby Kihei a few times for odds and ends as well as to check out a few local foodie spots my husband had read about for poke and other delights. 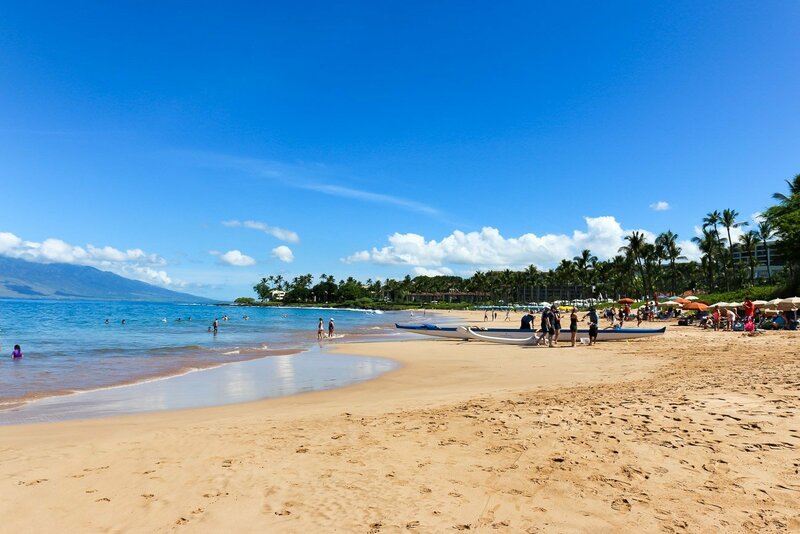 Kihei is also relatively quiet, very easy to navigate and home to larger grocery stores. But I can absolutely see how people stay put at the resort and rarely leave it. 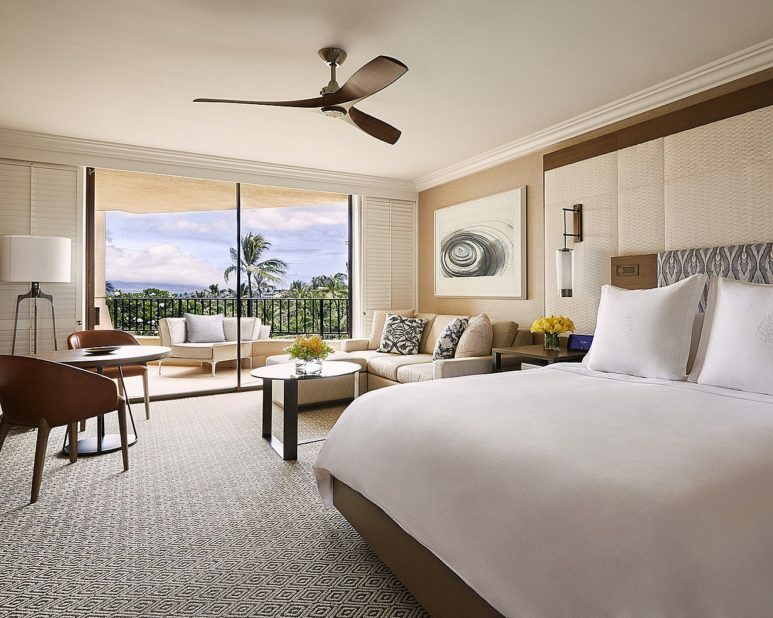 Rooms are Four Seasons Resort Maui at Wailea have recently been renovated to a gorgeous contemporary and comfortable design. 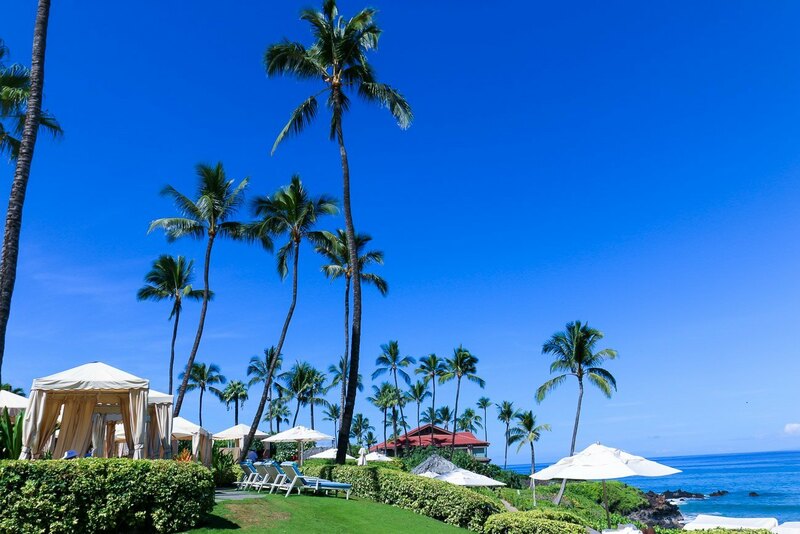 Four Seasons Resort Maui at Wailea boasts the largest rooms and bathrooms on the island. 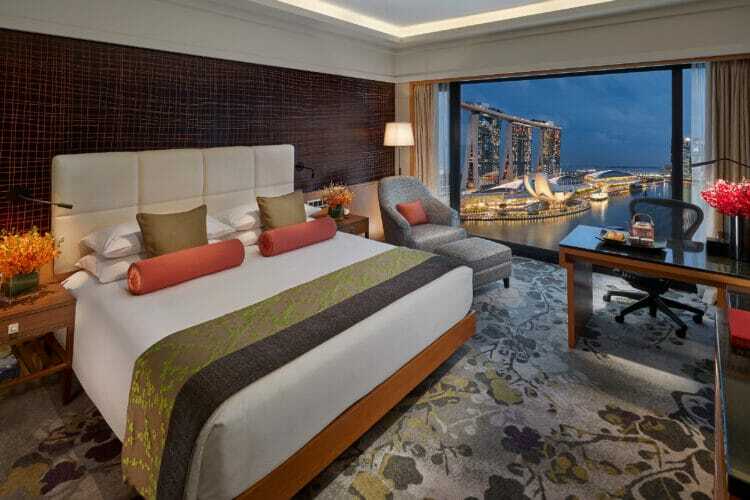 Our Ocean View King Room clocked in at around 600 spacious feet with a living area and an enormous bathroom. I’ve stayed in hotel rooms in Europe that were as large as the bathroom which also had a radio system that played festive Hawaiian music, jazz, etc. through ceiling speakers. I appreciated that bath amenities included after sun care and requested a few other items I’d forgotten to pack through the fabulous Four Seasons app. Suitcases were unpacked into multiple closets and drawers. 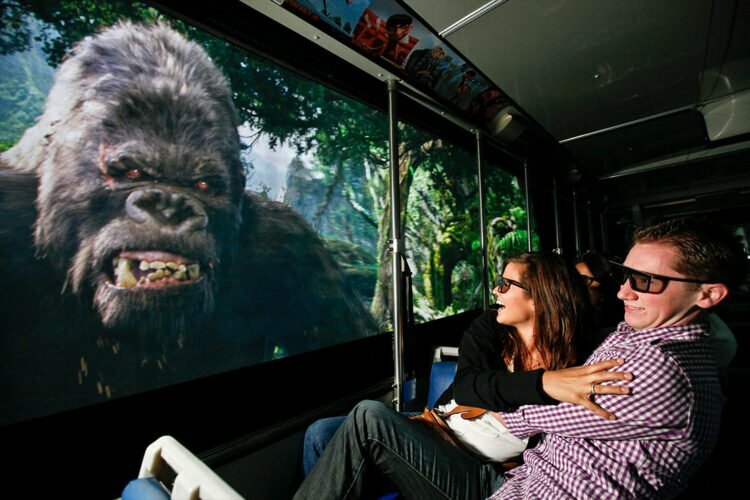 But what really sent my husband into bliss was the size of our TV. I would guess it was between 50-60″. Sometimes, it’s the little (errr… big) things that make a difference. I appreciated the empty mini-fridge that allowed us to keep fruit and perishables on-hand for snacks. 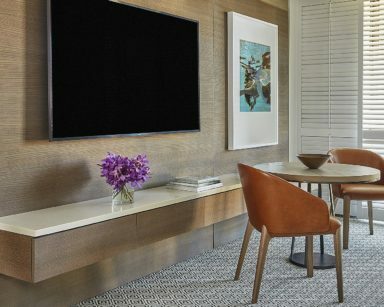 The room was also equipped with Hawaiian-style coffee and coffee maker, though you could pick up a fresh cup and pastry during early morning hours in the lobby. Milk, cookies and fruit were waiting in the room for my daughter upon check-in. The balcony proved a lovely place for a sunset or diving into a good book as this was our view. Guests have three pools to choose from but we spent the majority of our time in the family-friendly Fountain Pool (pictured at the top). 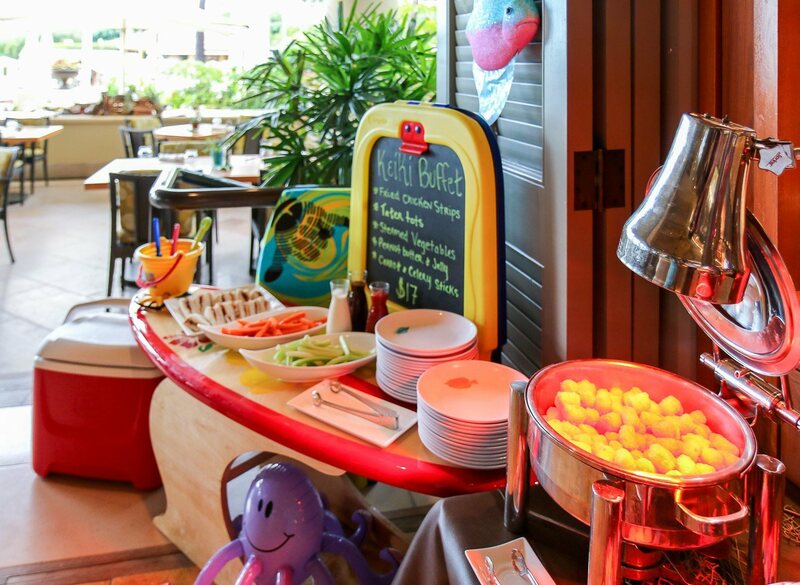 Complimentary cabanas as well as poolside drink and food service round-out the leisurely experience. I took advantage of the flavored waters, magazines and sunscreen are available at stations around the pools. 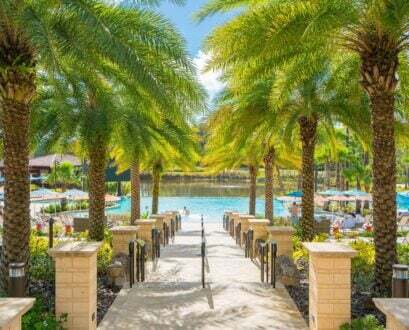 Friendly staff members give sunglasses a complimentary cleaning, provide cool towels and cucumber slices as well as an amenity every hour that ranged from smoothies to muffins to fresh fruit. I did appreciate that you couldn’t just throw your stuff on a cabana first thing in the morning and call it yours for the day. With guests rotating between the pool, beach, room and various activities this made it not too difficult to secure a cabana. 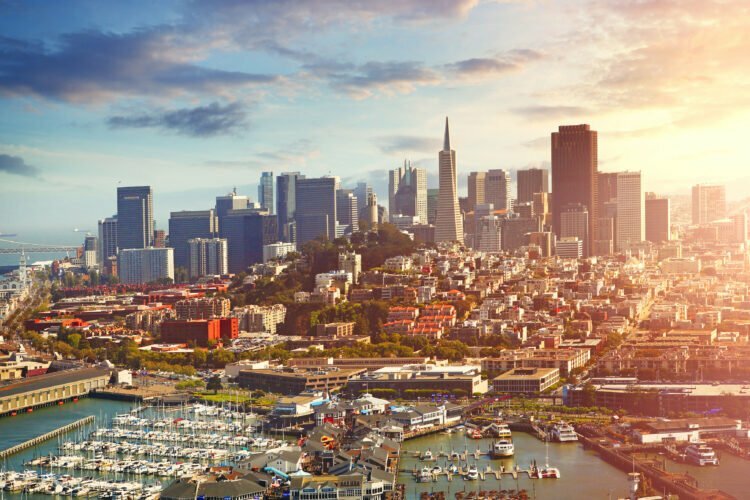 While there is a bit of leniency, of course, the rule of thumb is that you risk losing your space if completely gone from it for over an hour. 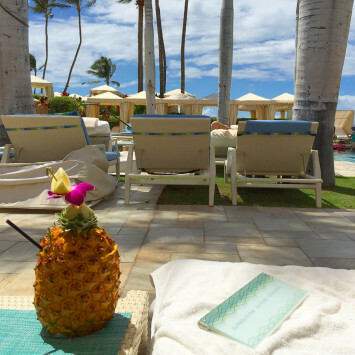 Do order the poolside Mai Tai which comes in a fresh pineapple. Small children have their own pool with a water slide and multiple depths including a shallow wading areas. Adults seek respite in a tranquil pool area with a swim-up bar and cabanas. To give you an idea of how much there is to do, we were in residence for six nights, fairly active and didn’t have a chance to experience everything. 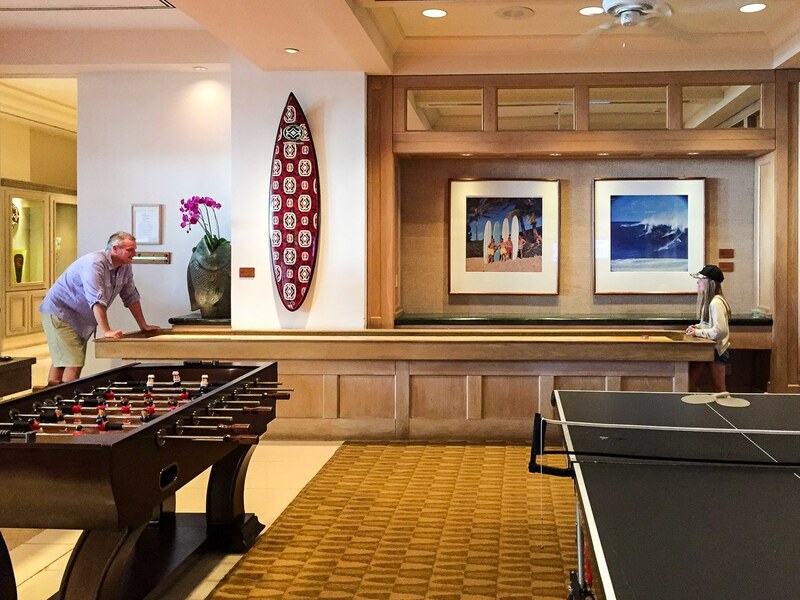 A stop into the game room for a bout of ping pong or shuffleboard became a pre-dinner ritual. Not pictured is a relatively-robust game room with Wiis and Xboxes, pool tables, a seating area with a television and more. 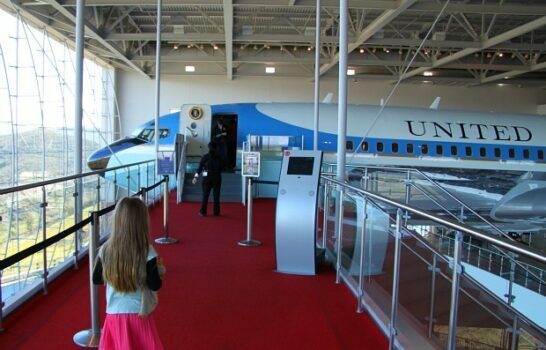 A supervised Kids for All Seasons kids’ club offers daily programming for ages 5-12. Unfortunately, I had to take a call during the Tuesday morning that SUP yoga was offered, otherwise I’d totally have tried it. 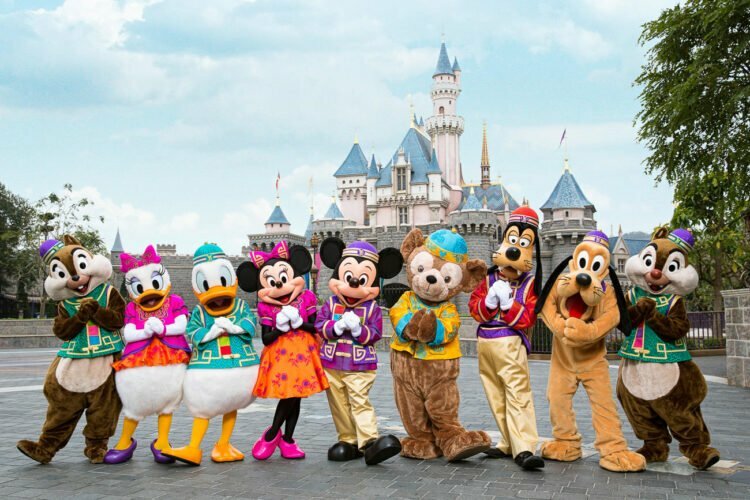 We also seemed to be occupied during the complimentary outrigger canoe outings but this is on my to-do list for next time. 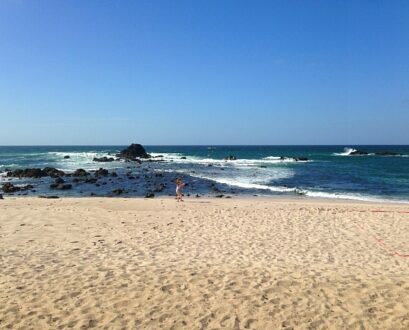 The beach is beautiful. Waves were a bit stronger and larger than usual due to the tropical storms but we managed to rent boogie boards during our final day when the water was calm, warm and clear enough for snorkeling. There are no lifeguards on duty but flags indicate ocean conditions. 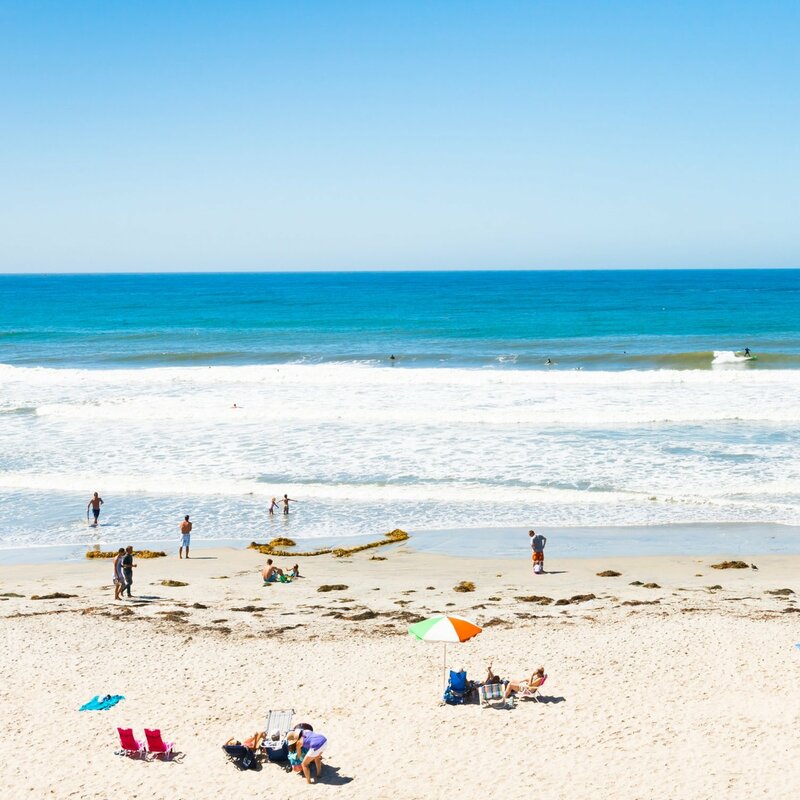 Chairs, umbrellas, towels, sand toys, volleyballs, and more recreational gadgets are available for guest use in the sand. However, a lounging area perched on a nearby bluff overlooks the beach. 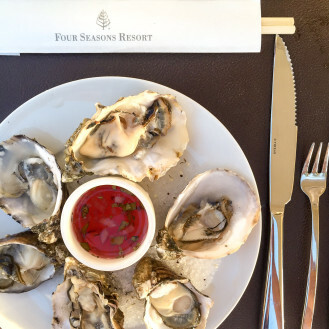 The food at Four Seasons properties is always good but it’s clear that it’s an emphasis at this resort perhaps because people do tend to stick around after long days of leisure. 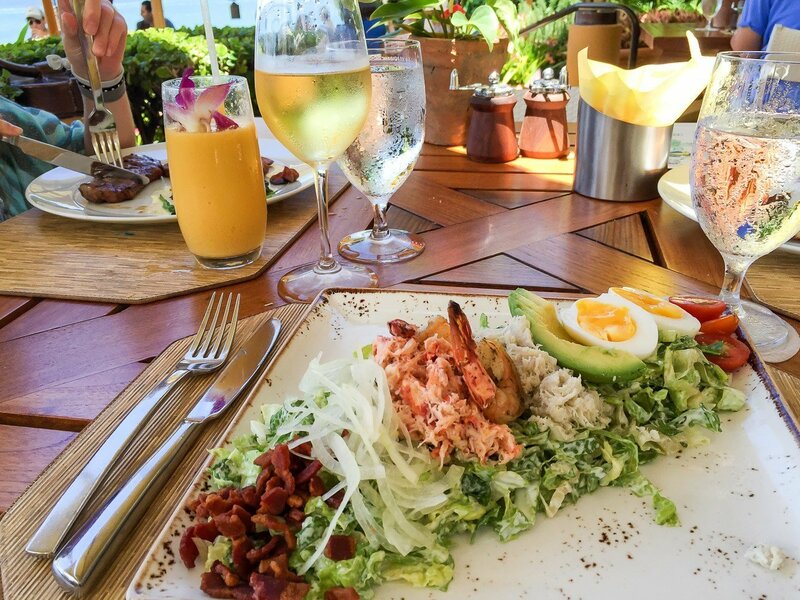 A majority of our meals were eaten on the resort because it was tough to leave the when, say, seafood or farm-to-table dinner buffets were happening steps away from our room. We ate in every restaurant with the exception of Wolfgang Puck’s Spago. We actually planned to dine there on our last night but became sidetracked by what is lauded as Maui’s best raw bar. 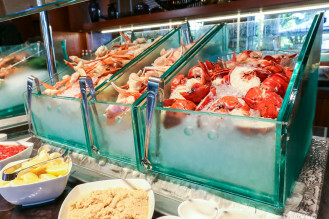 Let’s start with the raw bar at DUO Steak and Seafood. 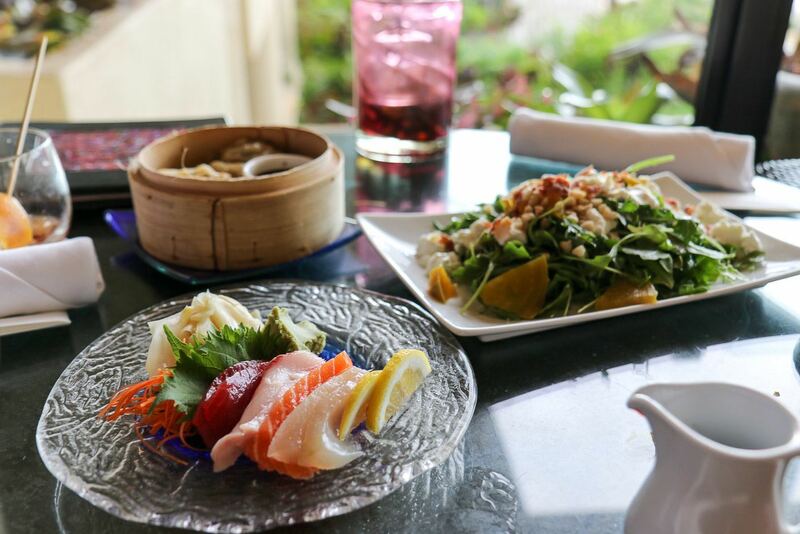 Bottomless lobster, crab, poke, oysters and then some paired with a choice of salad or soup. I think we savored every brilliant morsel over the course of several hours (and a few bottles of Iconoclast, a Napa Valley wine made specifically for Four Seasons). I’ve never eaten so much lobster in one sitting in my entire life. 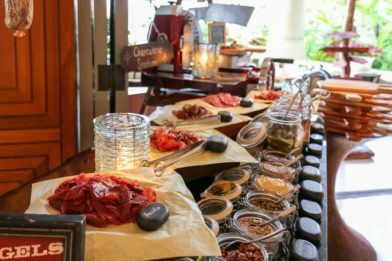 A few days prior, we’d booked the Market Night dinner with seasonal local produce and ingredients from the island. 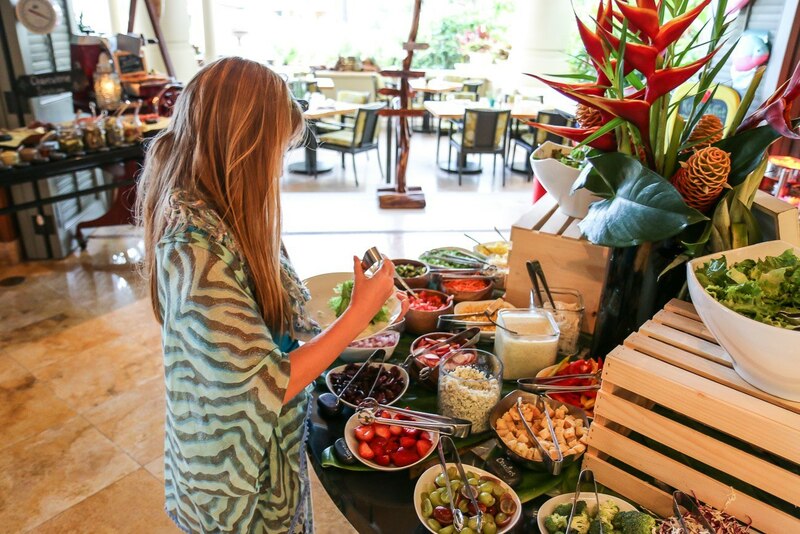 Guests can choose their own dinner, basically, from overflowing displays. 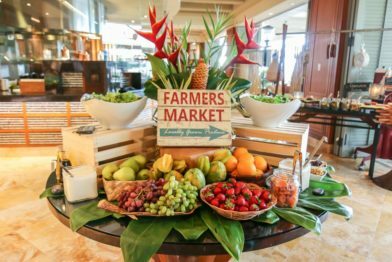 About 70% of the ingredients are from the island (supporting upwards of 60 local fisherman, ranchers and farmers), which is incredible given how much food is on offer. 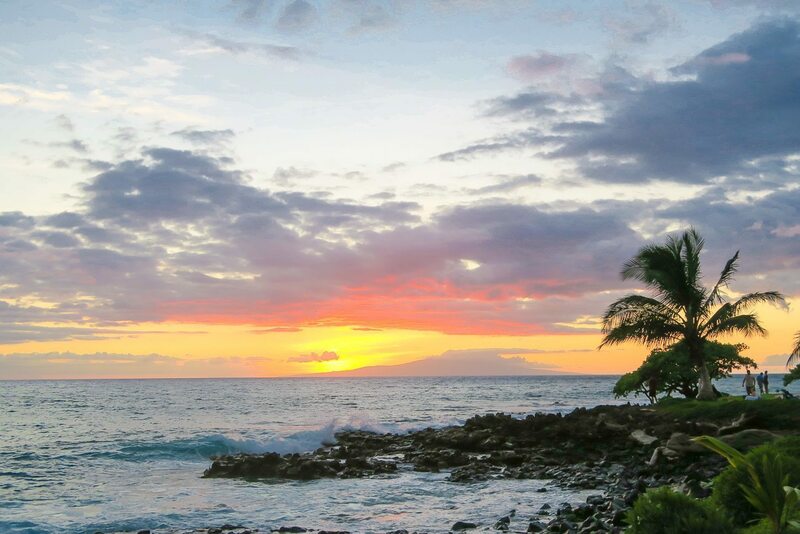 Do arrive at DUO Steak and Seafood early enough to enjoy a cocktail with a Maui sunset. The staff noticed my husband squinting a little—he’d left his sunglasses in our room—so, of course, they brought over a box containing multiple styles of sunglasses for guest use. This was the view from our table. 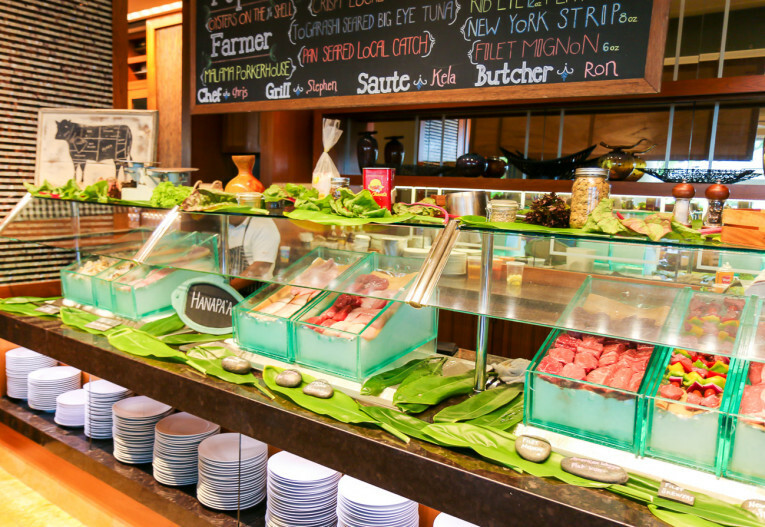 DUO Steak and Seafood is also where the fantastic breakfast buffet is located featuring continental, international and Hawaiian favorites. I ate piles of bananas soaked in coconut milk each morning, but choices cover almost anything you’re craving for breakfast. All buffets here also have adorable Keiki options (I may confess to having indulged in the donuts here). 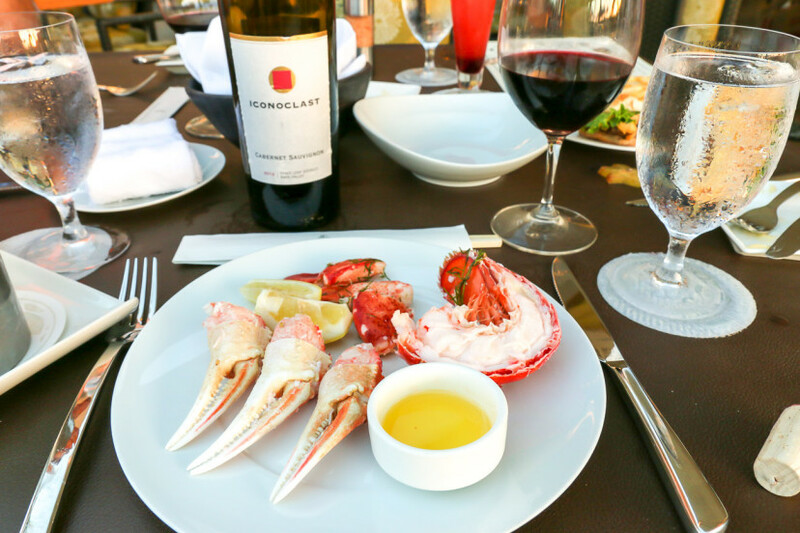 Located near the pool, we ate several times at Ferraro’s Bar e Ristorante where the sunset is also fantastic. So is the seafood Cobb salad, kids’ steak (my daughter ordered it multiple times) as well as the charcuterie and cheese board. My husband ordered a lobster pasta that was also out-of-this world. The view over the resort is arguably the best from here. The indoor-outdoor vibe proved the perfect spot to unwind with a cocktail and small plates after a long day of travel or sightseeing. 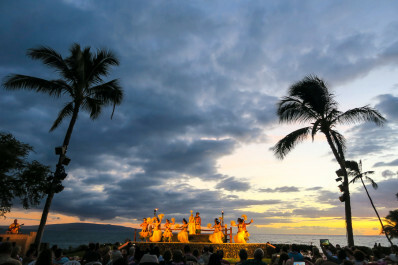 A hula dancer performed to live music—talk about the perfect Hawaiian ambiance—and even allowed younger kids to jump in and give it a whirl. 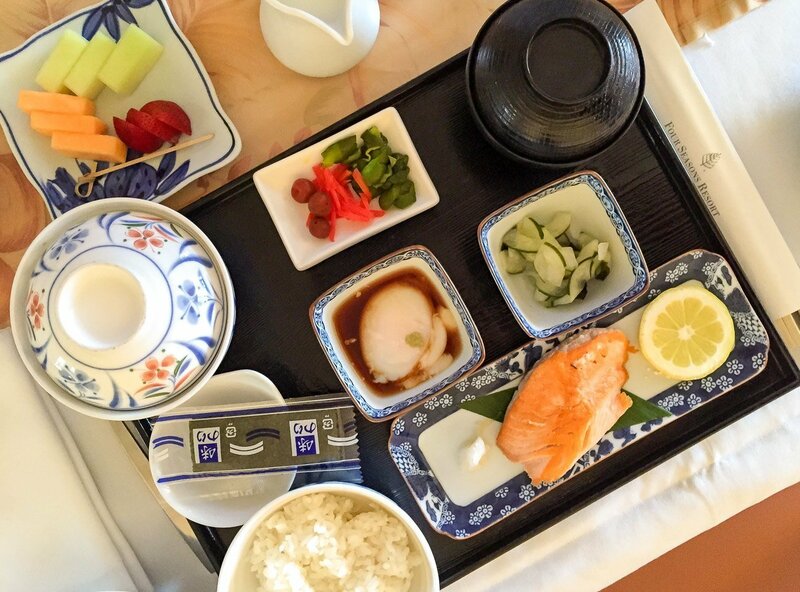 My other advice is to order a Japanese breakfast whenever it’s on a menu at a Four Seasons property as they are exquisite. In-room dining is a perfect solution for late mornings and times when caving up in the room seems like the best idea. I meant to book a spa treatment but since the three of us don’t travel together that often, there never seemed like a good time. Cardio equipment at the fitness center is open-air for ocean breezes. Golf and tennis are also available. 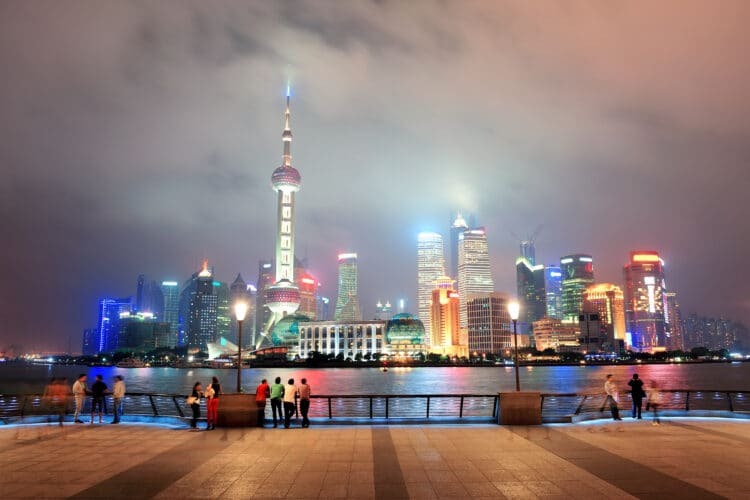 I rely heavily on Four Seasons concierges to organize my itineraries because they know best. I could research and research but ultimately their choices never fail me. This time was no different. Figuring we’d be jet lagged, I organized a 6:30 a.m. snorkeling tour to Molokini with Kai Kananai that they suggested would be perfect for my 8-year-old. It was. 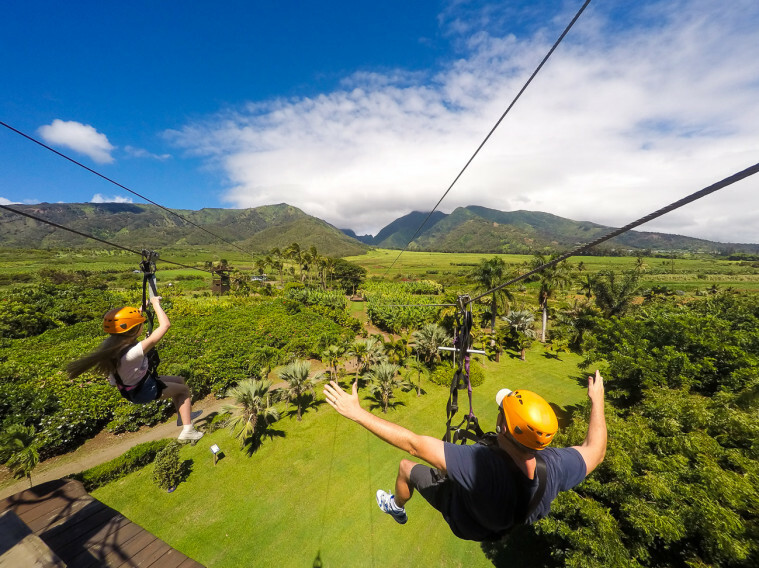 She also loved Maui Zipline, a scenic 25-minute drive away. We rode five lines in sequence with witty guides who paid incredibly close attention to safety. The lines draped over a lush tropical plantation with panoramic views to the ocean on one side and mountains on the other. 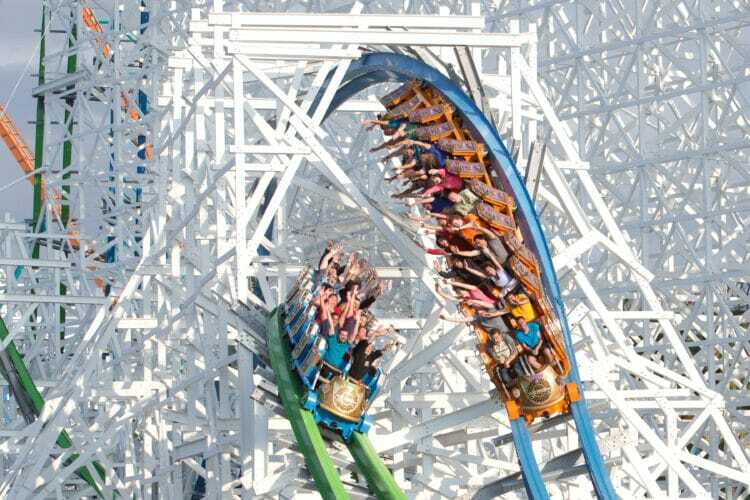 It’s perfect for families, but not necessarily for the adrenaline junkie. And, the oceanfront Te Au Moana luau provided fantastic evening entertainment and pretty good food just a 10 minute or so walk from the resort. I appreciated that pre-dinner activities included demonstrations for how to open a coconut and detailed descriptions of how the pig is roasted, to name a few, so there wasn’t a lot of idle time. 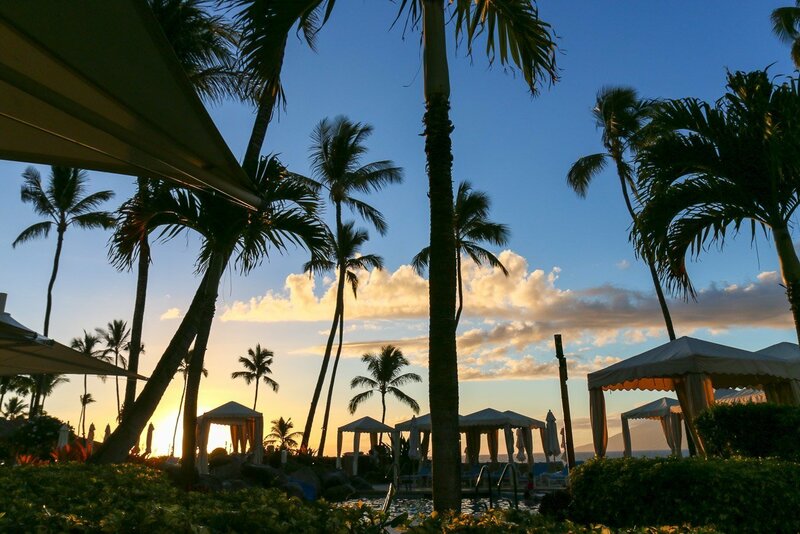 Between the onsite boutiques and nearby shopping in Kihei, don’t stress about forgetting to pack something. Artisans showcase wares on the ground level near the pool. If you see something, don’t wait to buy it because vendors change daily. 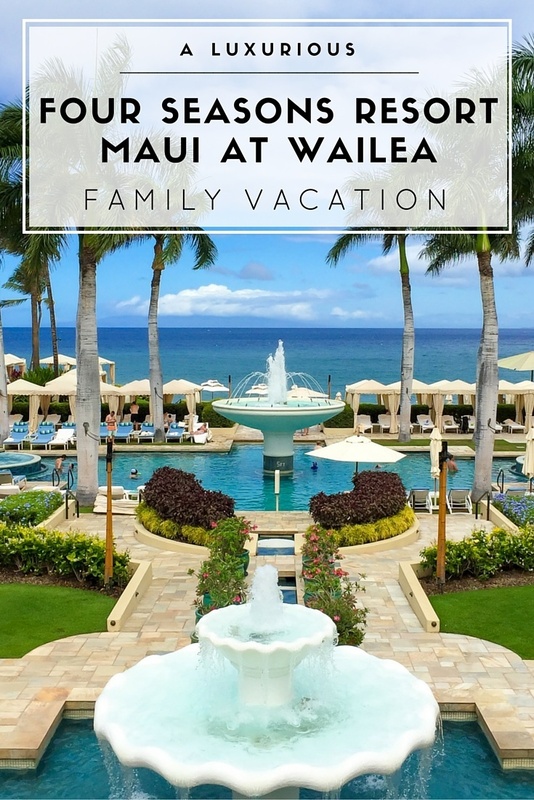 The resort can arrange transportation from the airport and there is a house car and resort shuttle that can take you to all things Wailea. We found having a rental car handy, however. An Aloha suite is available for showering and changing if you arrive early or depart late. And, of course, the flowers throughout the hotel—mostly orchids and other tropical arrangements—were stunning. Childproofing, cribs and other baby gear can be arranged with advanced notice. Whale watching season happens from December through April. 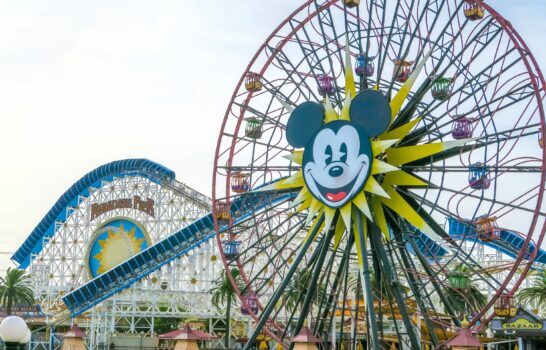 I would imagine that guests see quite a bit of activity out in the ocean from the resort during this time. The resort is just as fabulous for couples and singles. In fact, the fall is considered couples’ season and I’m not going to lie that I was sad to miss boozy shave ice by the pool among other adult activities. 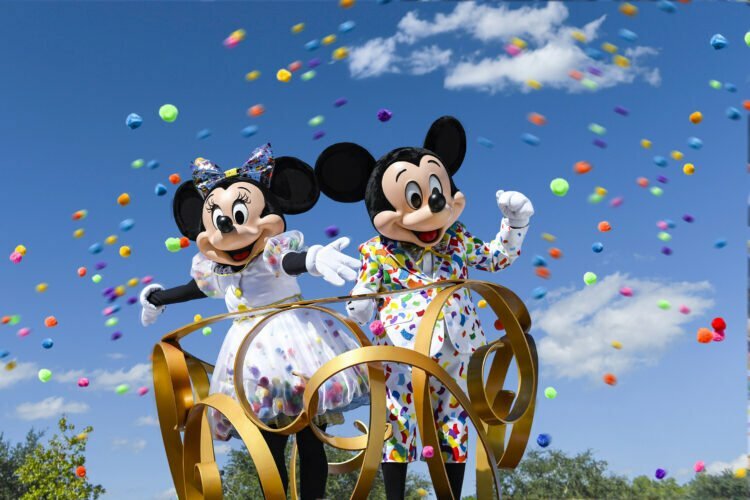 I still feel like there is so much to mention, but conclude by saying that this is an excellent resort for families in search of a Hawaiian vacation. 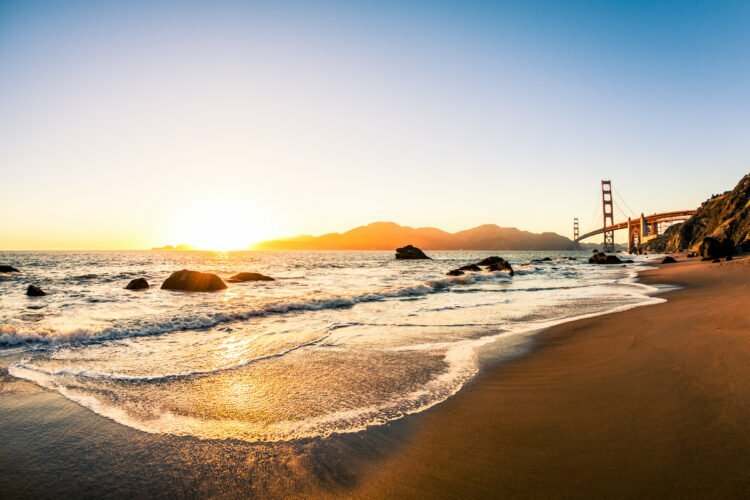 We left feeling rejuvenated, reconnected and ready to tackle the school year. We’ll be back. 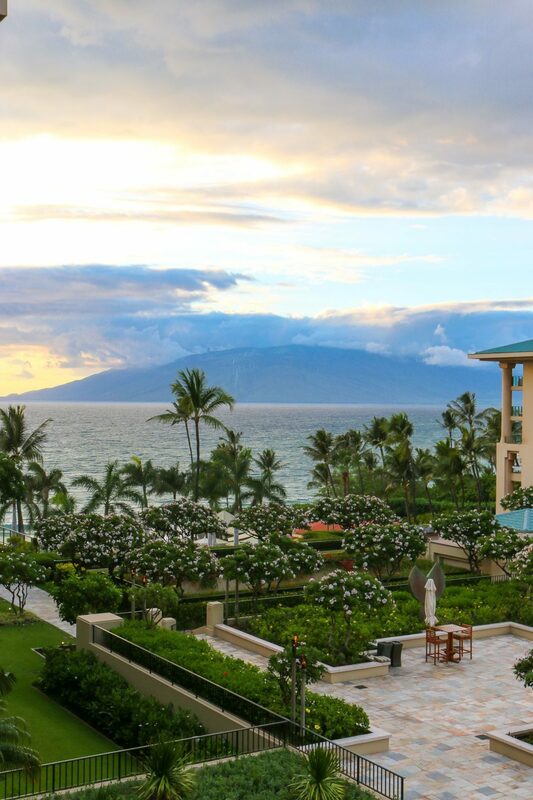 Have you stayed at Four Seasons Resort Maui at Wailea? *Our room was partially hosted for my assistance with the resort’s #FSIndulgence program earlier in the year. 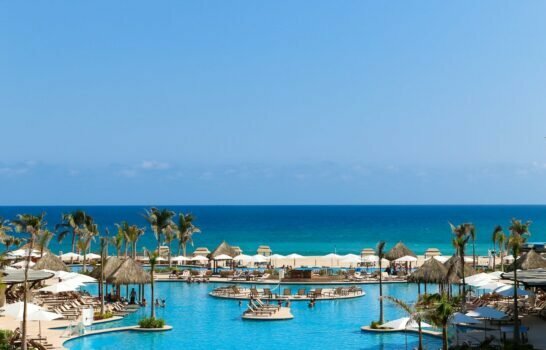 I was not obligated to write this but how could I not share such a fabulous resort? 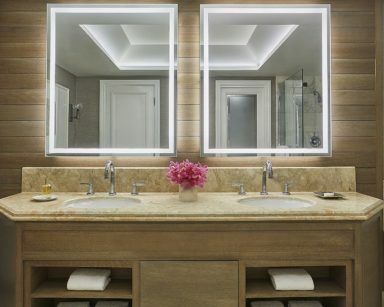 **Bathroom and room photos are used courtesy of Four Seasons Resort Maui at Wailea.